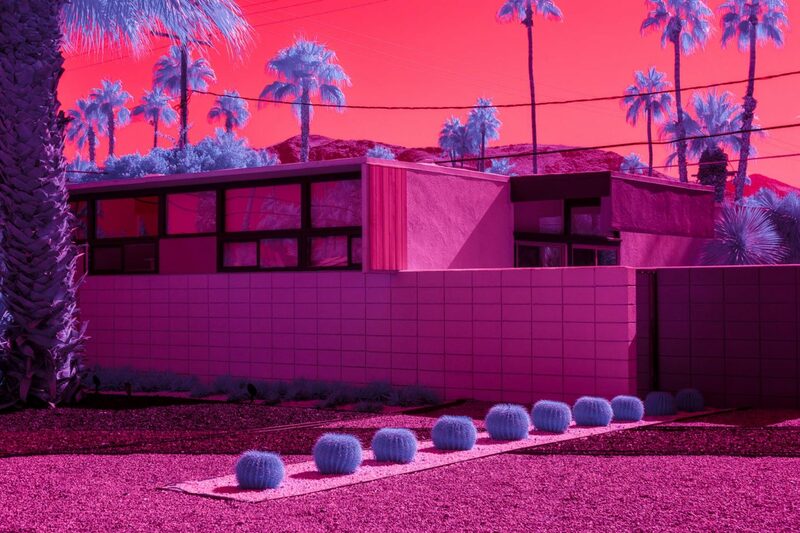 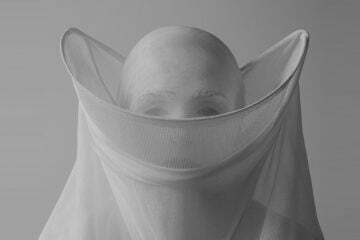 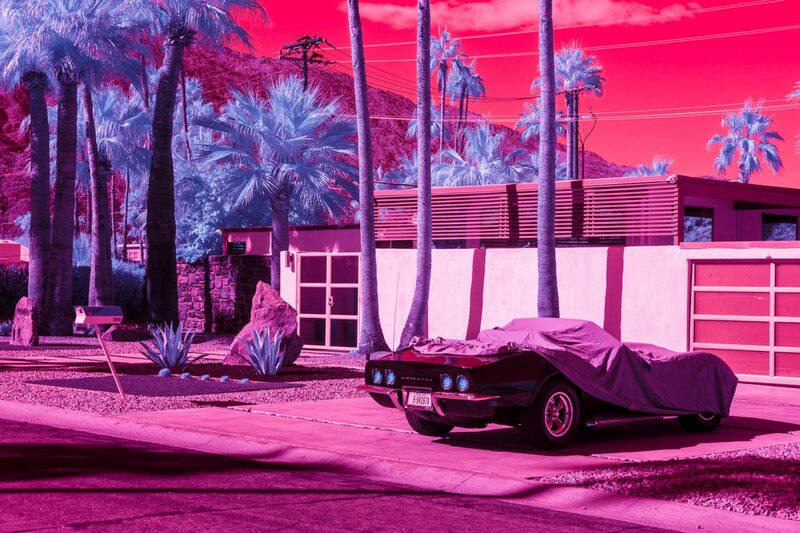 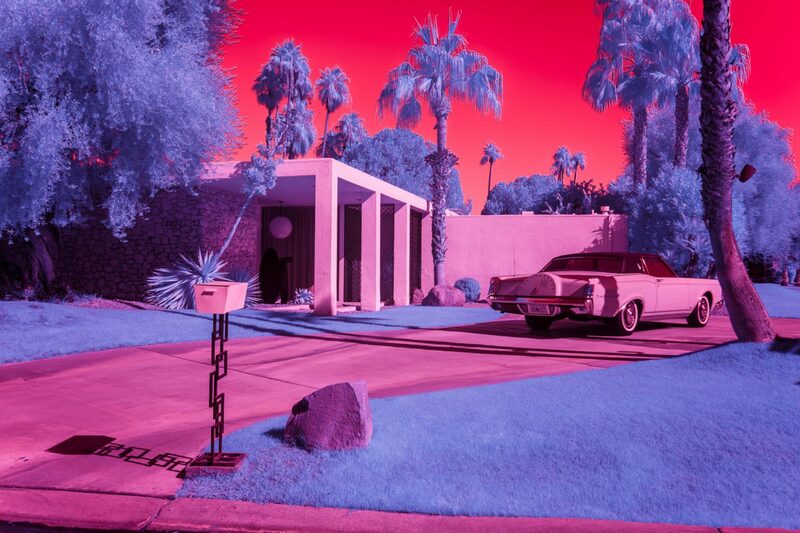 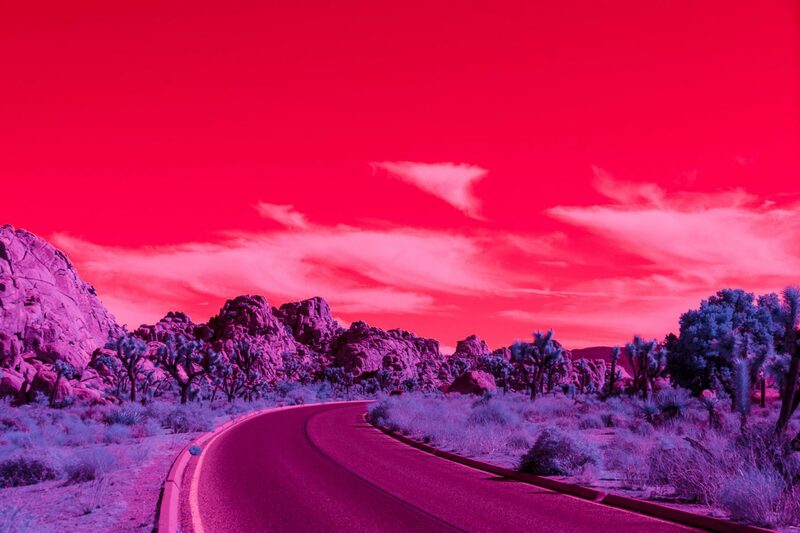 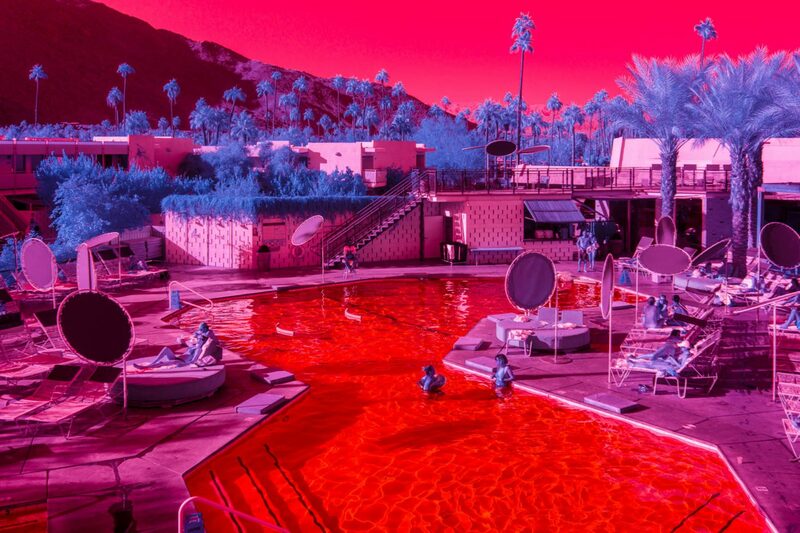 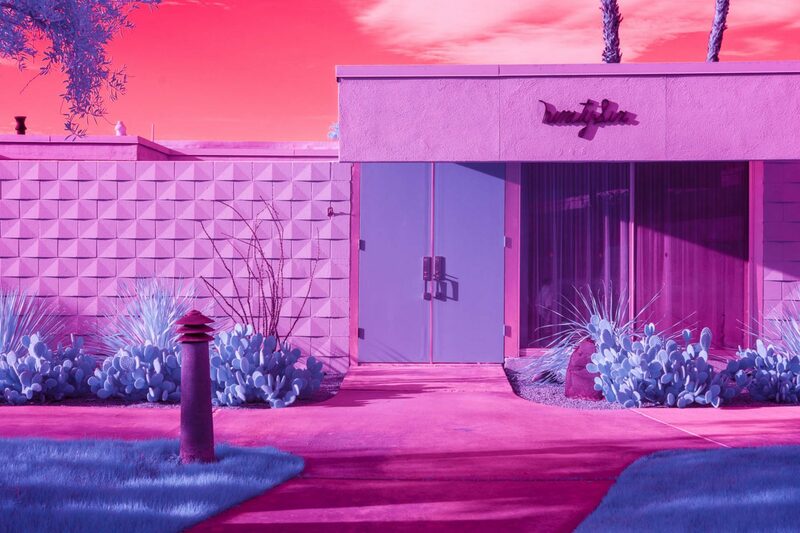 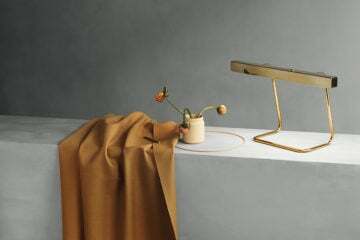 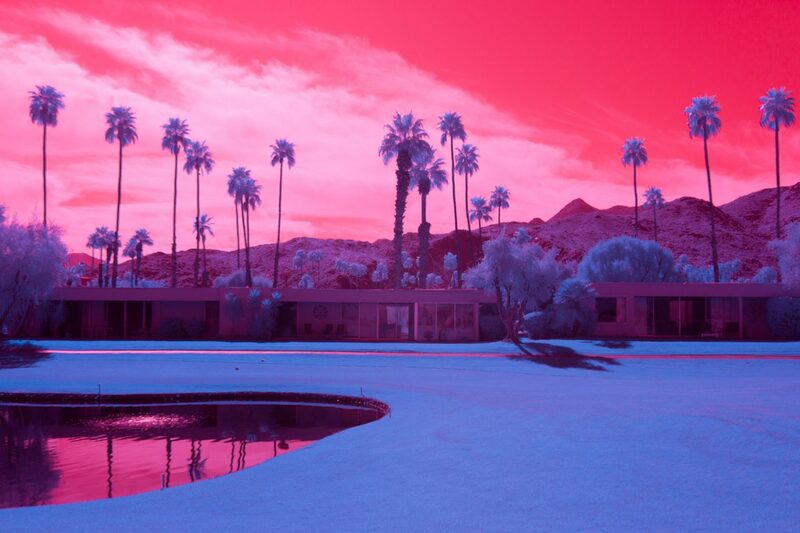 Having already photographed the modernist architecture, vintage cars and immaculate landscaping universally associated with Palm Springs, Kate wanted to show the city in a different light — specifically, an infrared one. 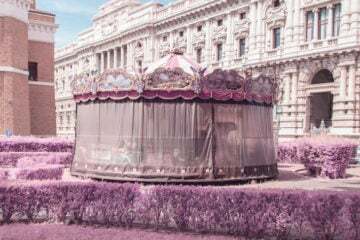 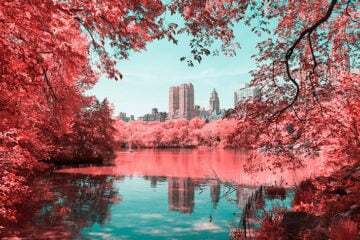 Using various infrared filters with a Sony Full-Frame Mirrorless Camera, Kate depicts the city as a series of surreal dreamscapes. 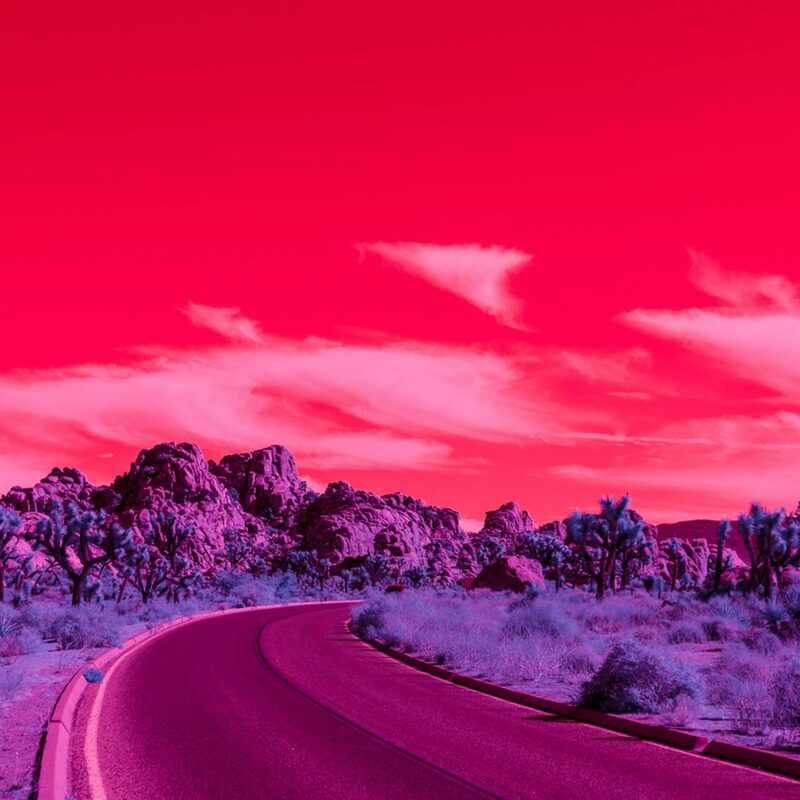 Textures of the lush foliage that once blended into the desert landscape are now illuminated in a vibrant blue, beautifully contrasted against the rich magenta sky. 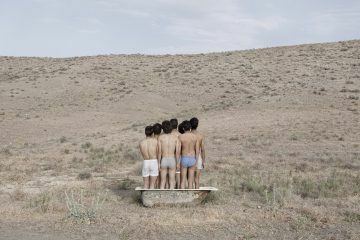 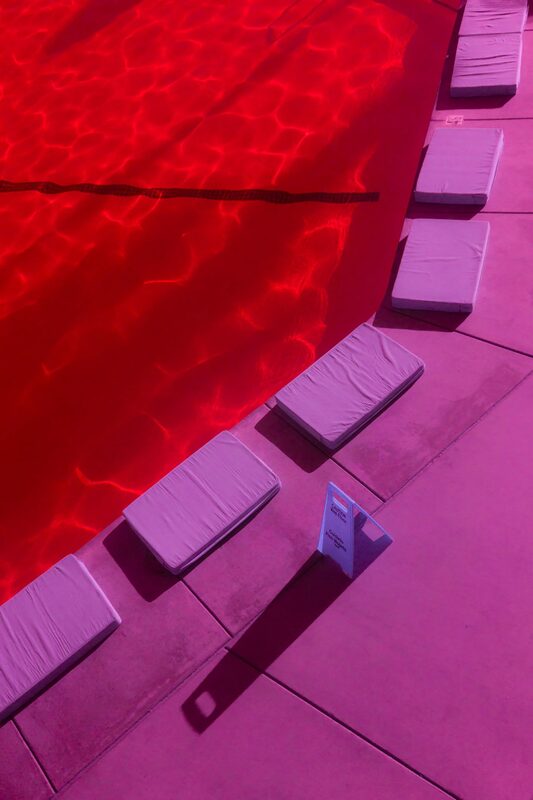 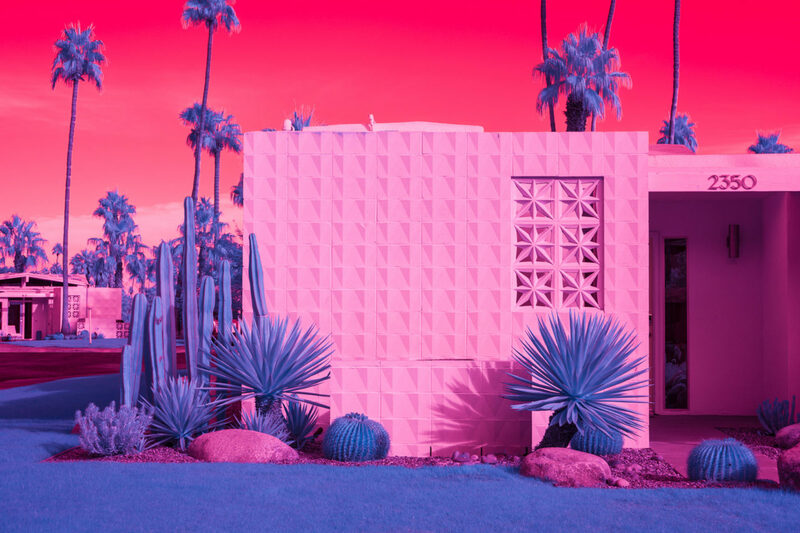 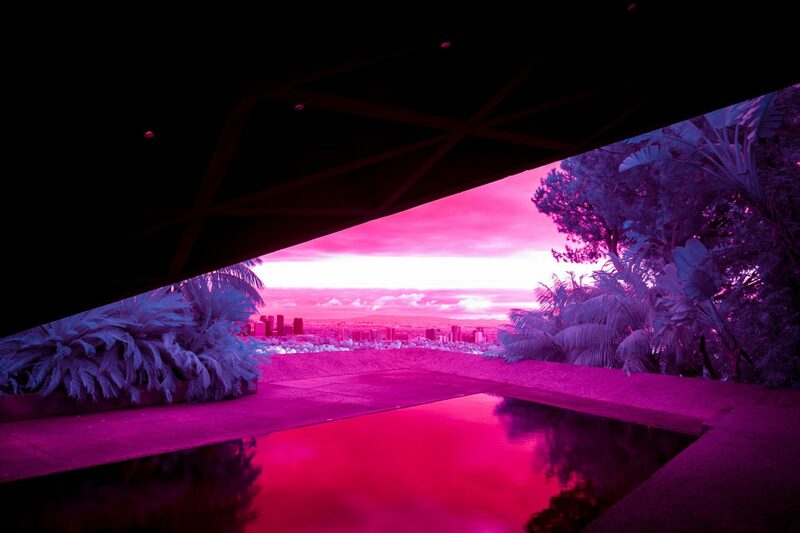 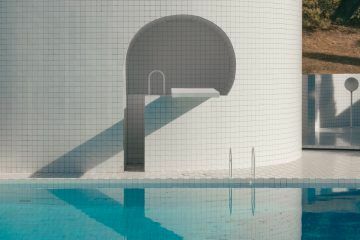 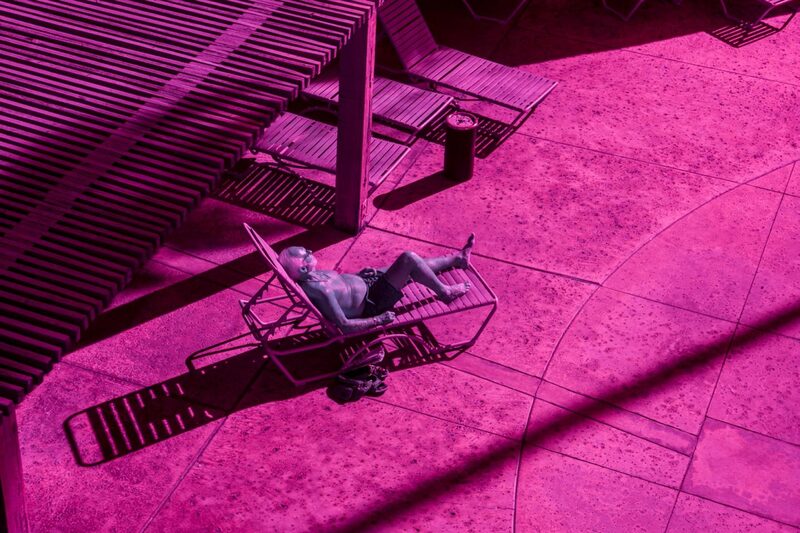 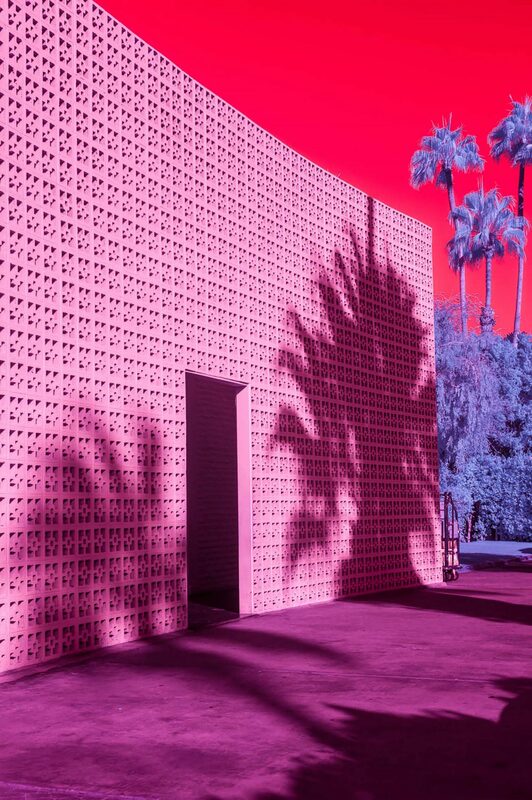 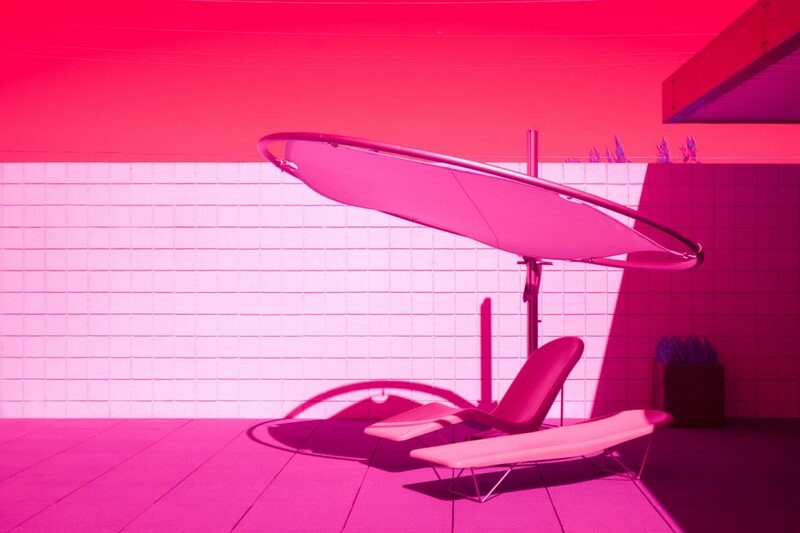 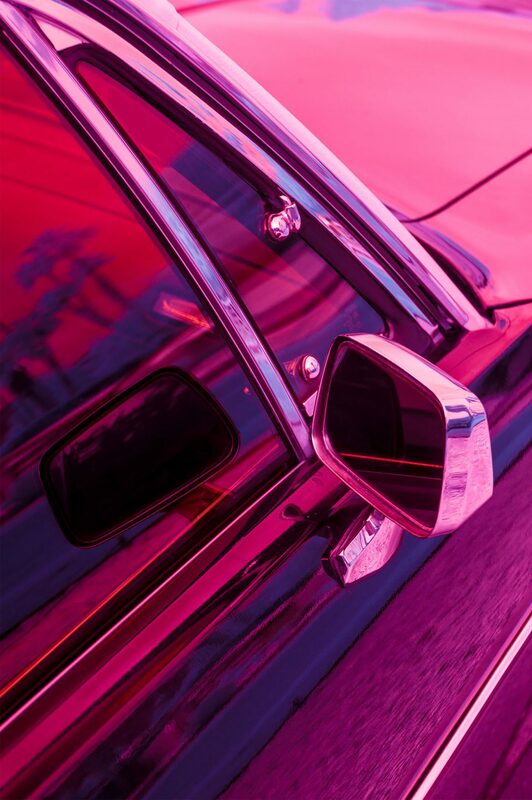 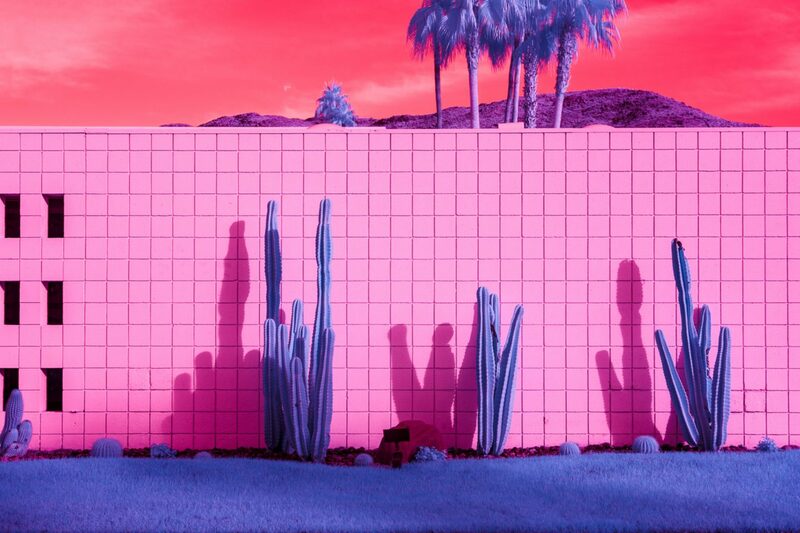 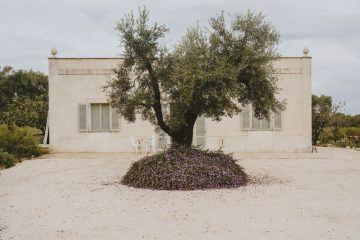 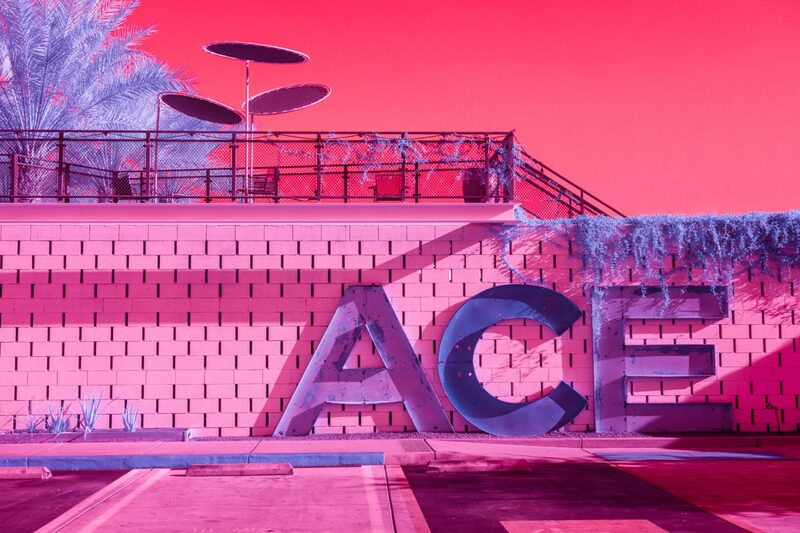 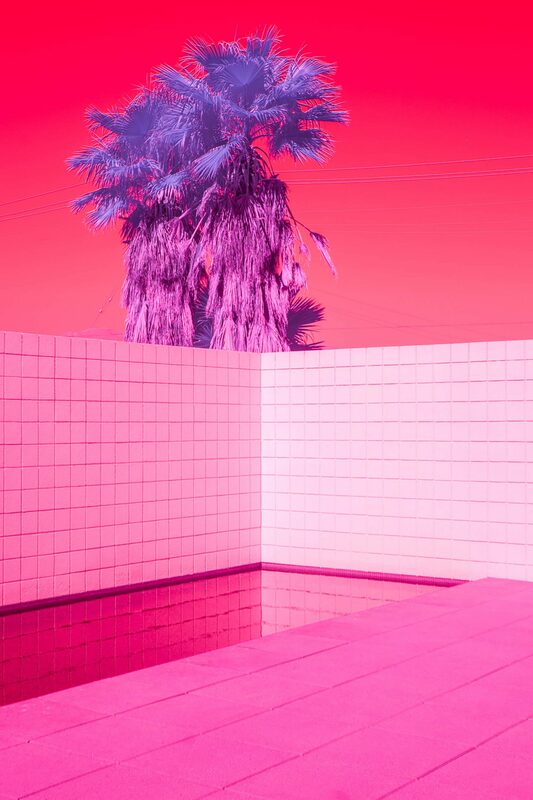 A selection of the city’s most iconic locations; the Ace Hotel & Swim Club, the Palm Springs Tennis Club and the Parker hotel, all which have been photographed countless times, are reimagined — swapping pastel hues for intense color contrasts.